In the Marvel Cinematic Universe, Josh Brolin portrays Thanos, the purple-toned Mad Titan who sets out to collect all six Infinity Stones for his Gauntlet glove to claim control over the entire universe (and possibly beyond.) His quest really gets underway in Avengers: Infinity War, which features the space goon as the biggest bad of them all, challenging the title heroes to put aside all their differences exposed in Captain America: Civil War and come together to, as Nick Fury envisioned, "fight the battles [humans] never could." But beneath all the visual effects, brute strength, and thirst for power is an actor who's hardly known for any of those things. Brolin, who's both a Hollywood legacy and a former child star, has quietly worked his way into the mainstream, earning some key acclaim along the way. 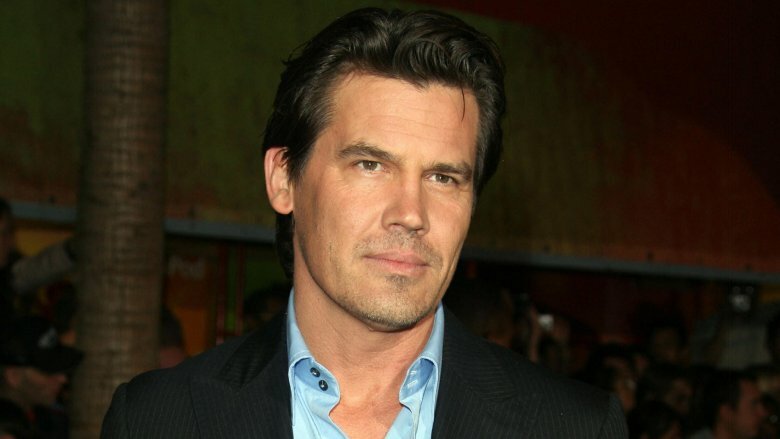 Josh Brolin was born into the world of show business. His father is actor James Brolin, who met his mother, the late Jane Cameron Agee, while she was working behind the scenes on TV's Batman. Josh told the Late Show with David Letterman that his mom was working as an assistant casting director when his dad appeared in the series. They got married, and soon after Josh's birth in 1968, his father's career kicked into high gear. The elder Brolin's work on TV's Marcus Welby, M.D. earned him two Golden Globes and an Emmy, and films such as Skyjacked and Westworld brought his dad to the big screen, where he later become well-known for his work in movies such as Capricorn One and The Amityville Horror. 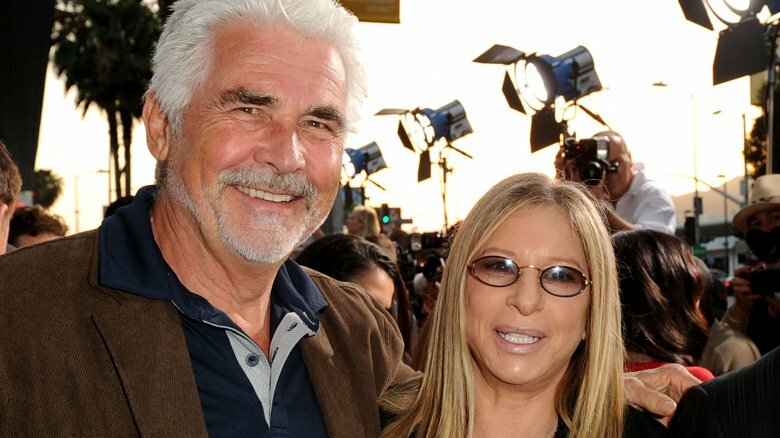 If that wasn't enough fame for one family, James Brolin would later marry the legendary Barbra Streisand in 1998, making James' stepmom one of the most famous women in the world. Even though his dad was a showbiz staple, Josh Brolin was relatively isolated from the glitz and glamour of the industry. He told CBS News that he was raised by his parents on a ranch that was 200 miles away from the City of Angels. "[My father] was in the world. But we didn't go on sets, really. We didn't spend a lot. My mom was very adamant about not growing up around that," he said. "We grew up around a lot of country western people. That was a huge thing for me, you know? Much bigger than actors." 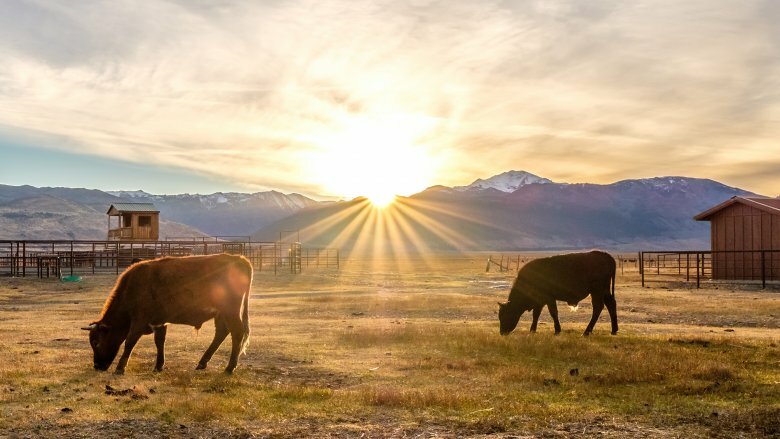 In his youth, Brolin worked as a cattle wrangler before considering a career beneath the bright lights. It wasn't until he took a high school improv class that he gained an interest in following in his father's footsteps. "I remember when I became an actor, my friends went, 'What? Why? I thought you hated it.' And I thought the whole concept of it was just sickening to you.' And it was," he told CBS News. "But I got on stage. And I improvised. And I remember making people laugh. And that was a whole new thing. It wasn't like the serious 'scene,' you know? It was more like, 'Wow, this is fun! And this is communal, about creating something from scratch.' I liked that. But I was awful!" 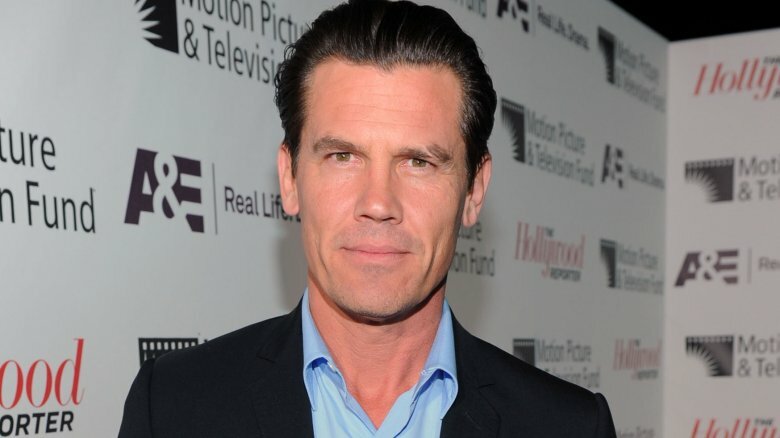 After he became interested in acting, Josh Brolin started looking for gigs to moonlight with during high school. As he explained on Inside the Actors Studio, "I was actually going to auditions with a resume that I completely made up, until I got my first film." That first film was Richard Donner's The Goonies, which was co-written and produced by Steven Spielberg. Despite such an auspicious start, Brolin still had a bit of trouble getting his career off the ground. For one thing, he turned down an opportunity to star in TV's The Dukes of Hazzard and was passed over for a starring role in 21 Jump Street, which went to Johnny Depp instead. He told Men's Journal that after he turned down a part in the 1987 film Back to the Beach, he was accosted by his agents, who told him, "You're lucky you're even here! You just got lucky with The Goonies! You're an idiot!" Indeed, Brolin spent the next two decades treading water as his TV shows, including Private Eye, Winnetka Road, and Mister Sterling came and went without much fanfare. He had some luck with a three-season run in The Young Riders, but it wasn't until his late 30s that Brolin really started to make some career headway. Even though he grew up on a farm far away from the traditional pressures of fame and fortune put upon young people in Hollywood, Brolin still found himself surrounded by trouble. He admitted to being in a surf gang called the Cito Rats and to doing drugs. "I tried heroin. That sounds so horrible when you put it like that. But yeah, I tried heroin," he told The Guardian. "I mean, I never got into it and I never died from it, which is a good thing. I've had 19 friends who died. Most of those guys I grew up with, they're all dead now." Dropping those bad habits wasn't the only thing Brolin did to fit into the Hollywood scene. He also decided to scrub his skin of the marks he'd made on it in younger years. "I don't have tattoos any more. 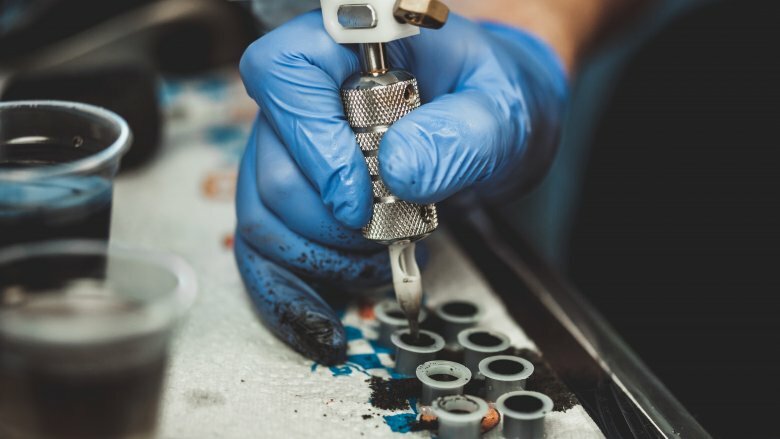 I used to have a lot of tattoos," he said, "and I remember being in business meetings with these dumb jailhouse tattoos and I would see how people reacted. They were always very freaked out." Those tattoos were reportedly earned during a short stint in jail as a 19-year-old for fighting with his former gang. He had them removed at age of 31, telling BlackBook, "I needed to be weightless." 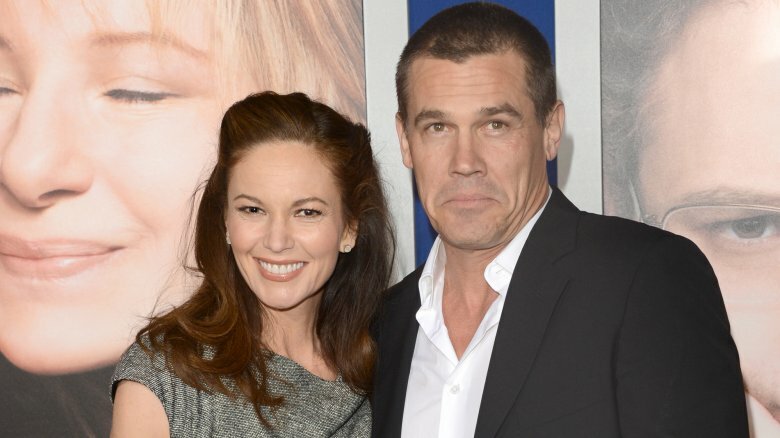 Josh Brolin was definitely not an overnight success. As he told BlackBook, "I went through 20 odd years very frustrated. I didn't make a lot of money, and there were some years that were really, really tough." His persistence paid off in the end, however. He nabbed a part in Robert Rodriguez's Grindhouse segment Planet Terror and a starring role in the Coen Brothers' No Country for Old Men, opposite Tommy Lee Jones and Oscar-winner Javier Bardem. Both highly-acclaimed projects debuted in 2007, but Brolin almost lost the latter role when he got into a major motorcycle accident just weeks before rehearsals were scheduled to begin. He admitted to lying to the co-directors about his condition after the incident so that he wouldn't lose the part, and after pushing through the pain to perform in the celebrated film, Brolin's name started to reach the top of the call sheet for some career-making roles. As he told The Guardian, "I'm an anomaly, I know that. I was living in professional obscurity for a very long time … I had been doing work, I didn't change anything, I just did a movie people saw. That's the difference. The point is: working with Joel and Ethan, you get to watch movies you're proud of being in." Indeed, the hits just kept on coming after that. After No Country for Old Men, Josh Brolin started landing more prominent, and sometimes even leading roles in promising pictures. He nabbed a part in Ridley Scott's American Gangster and then took on the task of portraying embattled outgoing President George W. Bush in Oliver Stone's 2008 feature W. It was his turn as San Francisco politician-turned-assassin Dan White in Gun Van Sant's biopic-drama Milk that earned Brolin his first (and, so far, only) Oscar nomination for best supporting actor. He'd soon earn the title role in Jonah Hex; reunite with Tommy Lee Jones (well, sort of) as the younger version of his Agent K in Men in Black 3; and work with the Coens again for True Grit. Brolin has also had his fair share of letdowns, of course, including the ill-advised 2013 remake of Oldboy, the lackluster period crime-drama Gangster Squad, the little-seen and critically disfavored romantic drama Labor Day, and the too little, too late sequel to Sin City. That downturn proved short-lived, as Brolin found himself right back in the critical sweet spot with appearances in highly respected pictures such as Paul Thomas Anderson's Inherent Vice, Denis Villeneuve's Sicario, and the Coens' Hail, Caesar! With that kind of filmography, it's no wonder Brolin became a prime candidate for not one, but two superhero spots. The break in Josh Brolin's career hot streak that took place around 2013 might not have been strictly related to the quality of films and roles that came his way at the time. Early on in the year, the actor was arrested for public intoxication after being found inebriated on a Santa Monica sidewalk. He swore off alcohol after footage emerged of the actor allegedly being aggressive with several people on the night of the incident in question. It wasn't the first time Brolin had a brush with the law. Nearly a decade prior, he was arrested in his home for spousal battery after his then-wife, actress Diane Lane, told police that he hit her. She later declined to press charges, and the two remained together until shortly before the 2013 arrest, after which they publicly announced that they had split several months prior. Brolin admitted to The Guardian that "it was another turning point" for him and that he had to change his ways. "It made me think a lot of things," he said. "I realized that I was on a destructive path. I knew I had to change and mature. It was like I stepped back and saw the hamster wheel." Nowadays, everyone who's anyone in Hollywood seems to find their way into superhero movies, and Josh Brolin is no exception. In fact, he's got the rare distinction of earning double placement in the cinematic landscape of comic heroes. In Guardians of the Galaxy, Brolin made his debut as Thanos, the power-hungry alien warlord, and he cameoed as the character again in the credits scene of Avengers: Age of Ultron. (The character had previously appeared in The Avengers, played by stuntman-actor Damion Poitier before Brolin was cast in the role.) 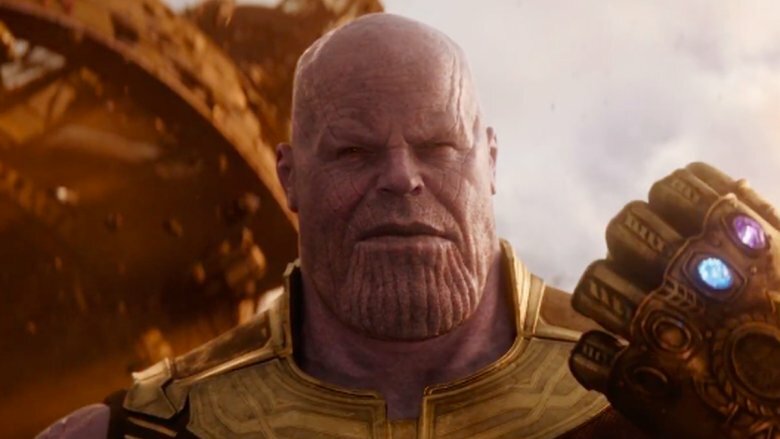 It's Avengers: Infinity War that really brings Thanos into the Marvel Cinematic Universe, and he's expected to reprise the role in Avengers 4 as well. Meanwhile, Brolin has also joined Fox's Deadpool franchise as Nathan Summers (aka Cable) in Deadpool 2, the first of a potential four-film arc for his character. He was initially hesitant to take on a second superhero pic, but he told Good Morning America the script sold him on it. "I laughed harder than I've laughed in a very long time," he said. The character also descends from Marvel Comics and arrives as a foil to the title hero, played by Ryan Reynolds. Whether the two characters will ever exist in the same story universe, following Disney's purchase of Fox, remains to be seen, but it is possible —in theory, at least. Entering the Marvel Cinematic Universe can be a daunting experience for anyone, especially when you come face to face with its ravenous fanbase. Josh Brolin told Conan that after appearing briefly in Guardians of the Galaxy, he visited a comic book shop to learn a little bit more about Thanos and was recognized right away. "I went in the comic books store wanting to get more information," he said. "I went in, and dude, they went apoplectic … I was like 'What is the deal?' And they were like 'Thanos! Thanos! Thanos!' And honestly, it scared me because it means something. Their whole childhoods are based on this stuff." After discovering how important the character is to the comics and the resulting MCU, he says playing the part is "probably the greatest decision" of his career, but he knows he's got a lot to live up to. Brolin told CinemaBlend, "I was more nervous doing that than anything I've done in a long time." He told Good Morning America that the role was not what he expected. "It's way more emotional and way more interactive than I thought, so it's actually a lot of fun," he said. "A lot deeper than I thought, a lot more emotional."